GM original brake pedal with pad and trim. Reproduction door handle / window crank handle C-clip retainer. Designed to hold the door handle / window crank handle onto the door mechanism or window regulator shaft. Sold in pairs only. Screw to secure the reflective dome light base. Exact fit for replacement of original overhead dome light mounting screws. 2-pcs. Reproduction of the original 1967-81 Camaro and Firebird clip used to mount the brake cable to the rear section of the under body frame rails. This clip is located on the inside of the frame rail. These clips are installed on the bottom ends of the shroud. Provisions are molded into the shroud allowing attachment of the shroud to the radiator. Each vehicle requires two clips. This is a 2-piece kit. This is an original square head ignition "A" Code GM key which has not been pre-cut and can be cut to fit you car at any lock smith shop or store that cuts replacement keys. Verify your key code before ordering. Your key code can be found stamped on your key. This is a later-style key "A" Code key Blank. This is an original square head ignition "C" Code GM key which has not been pre-cut and can be cut to fit you car at any lock smith shop or store that cuts replacement keys. Verify your key code before ordering. Your key code can be found stamped on your key. This is a later-style key "C" Code key Blank. This is an original square head ignition "E" Code GM key which has not been pre-cut and can be cut to fit you car at any lock smith shop or store that cuts replacement keys. Verify your key code before ordering. Your key code can be found stamped on your key. This is a later-style key "E" Code key Blank. This is an original square head ignition "D" Code GM key which has not been pre-cut and can be cut to fit you car at any lock smith shop or store that cuts replacement keys. Verify your key code before ordering. Your key code can be found stamped on your key. This is a later-style key "D" Code key Blank. This is an original square head ignition "B" Code GM key which has not been pre-cut and can be cut to fit you car at any lock smith shop or store that cuts replacement keys. Verify your key code before ordering. Your key code can be found stamped on your key. This is a later-style key "B" Code key Blank. This is an original square head ignition "H" Code GM key which has not been pre-cut and can be cut to fit you car at any lock smith shop or store that cuts replacement keys. Verify your key code before ordering. Your key code can be found stamped on your key. This is a later-style key "H" Code key Blank. Replacement bulb for a variety of applications on all 1967-81 Camaro Firebird models. Replacement amber bulb for a variety of applications on all 1967-81 Camaro Firebird models. 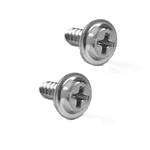 1/8" speed nuts used to install emblems, trim, bezels and more. 3/16" speed nuts used to install emblems, trim, bezels and more. 1/4" speed nuts used to install emblems, trim, bezels and more. Correct reproduction antenna gasket for 1967-69 Camaro and Firebird. Fits front fender mounted antennas. Hardware to mount the windshield washer nozzle to hood.